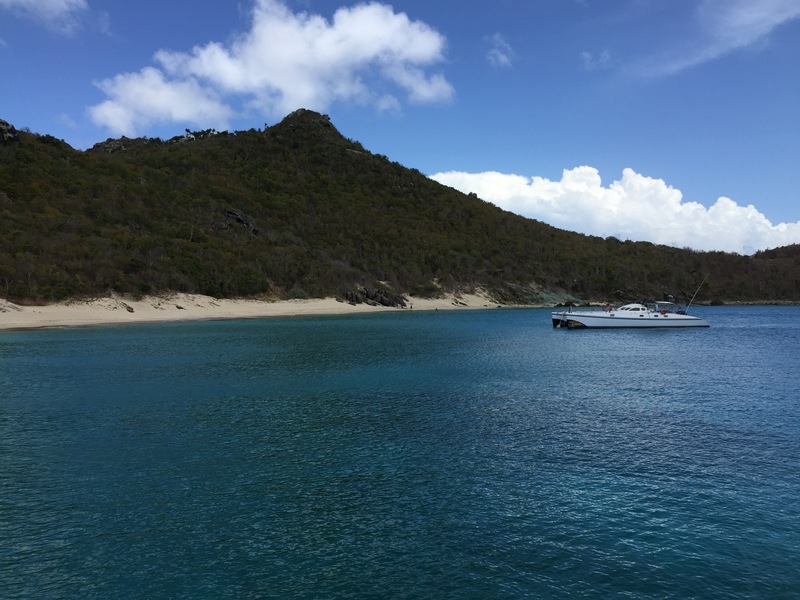 St. Barts – a Little Piece of France? 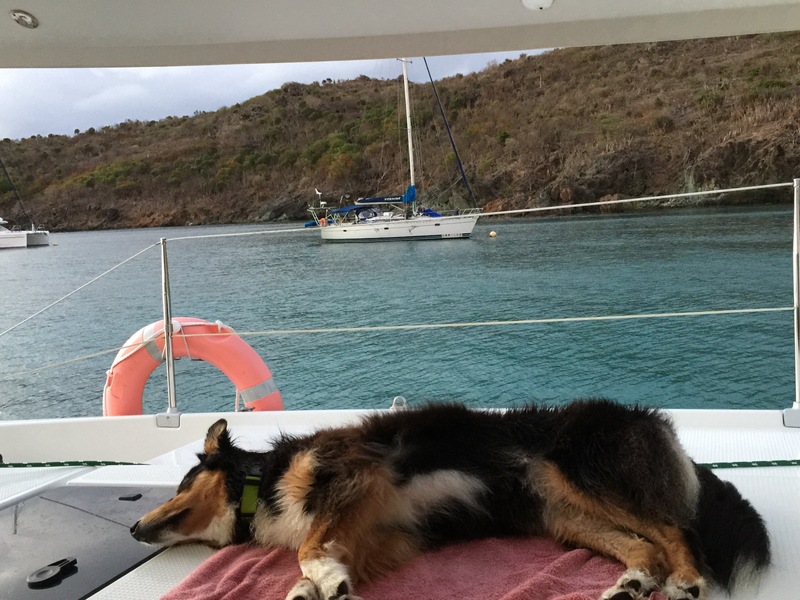 We left St. Martin and had a quick and easy motor sail to St. Barts. 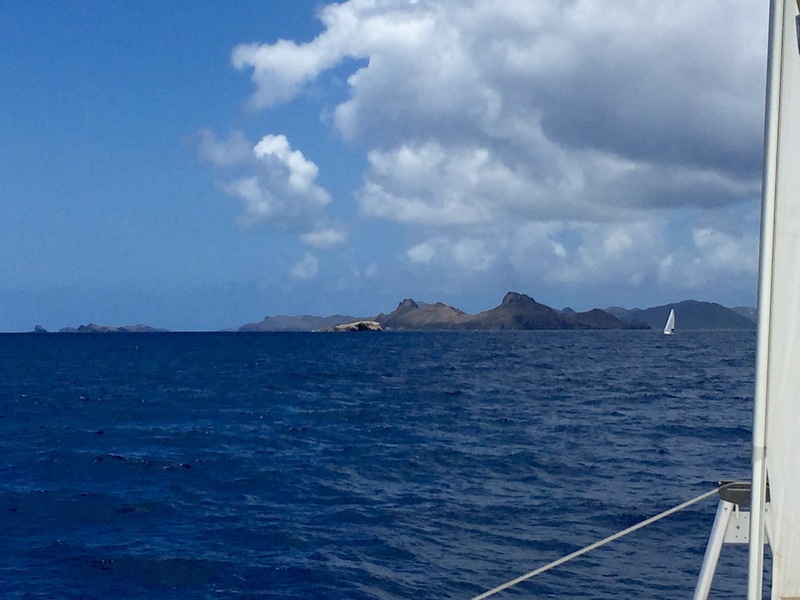 St. Barts is in sight. The water is beautifully clear – I counted 5 starfish on the sand 12 feet below our boat while at anchor! The French are trying to restore the bay after damage from anchoring and have installed several free mooring balls which we were happy to use. 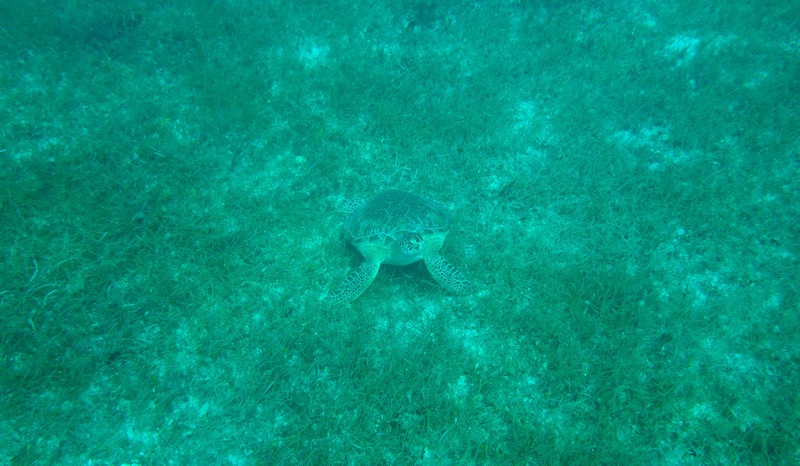 And their efforts are working as much of the sand is gaining sea grass and we saw a lot of turtles and other marine life. This turtle posed for the photo! 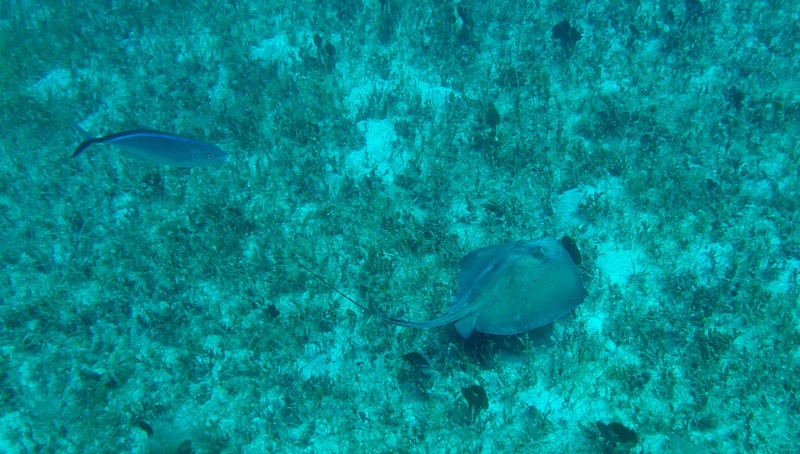 Rays and fish just below our boat. While moored in Colombier we went scuba diving two times on the south side of Ile Petit Jean. The coral and fish were more plentiful than any other Caribbean diving we have done so far. Our camera wasn’t graded for the depth of our dive, so I don’t have photos, but we saw many schools of fish in a variety of types and sizes. Also the sponges were HUGE! They looked like giant planters that could be used in a garden. LIB nestled up close to the shore in Colombier. Just another beautiful bay, but too shallow for us to anchor here. We managed to exhaust Captain! 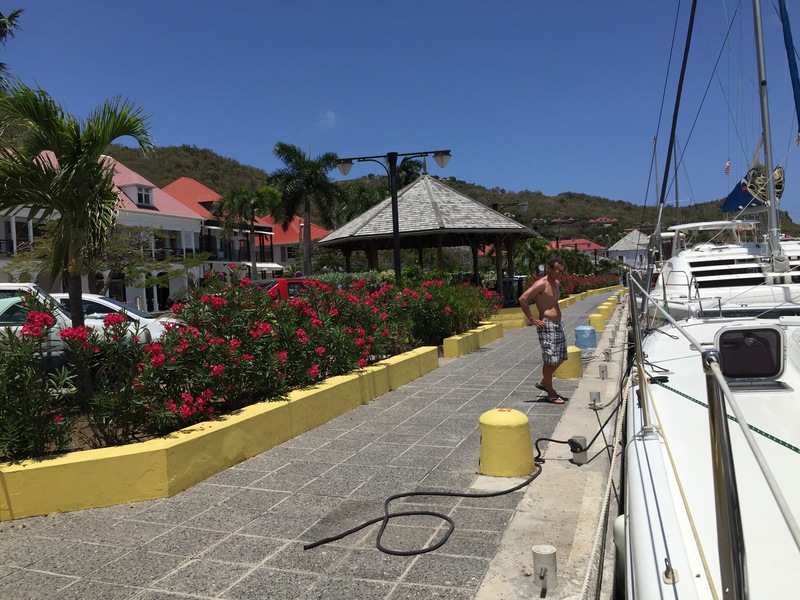 The public pier of Gustavia is clean and landscaped. The public dock in Gustavia was our next stop on St. Bart’s. I have to say, this is a gorgeous town where you can buy all kinds of beautiful baubles, clothes, food and wine. 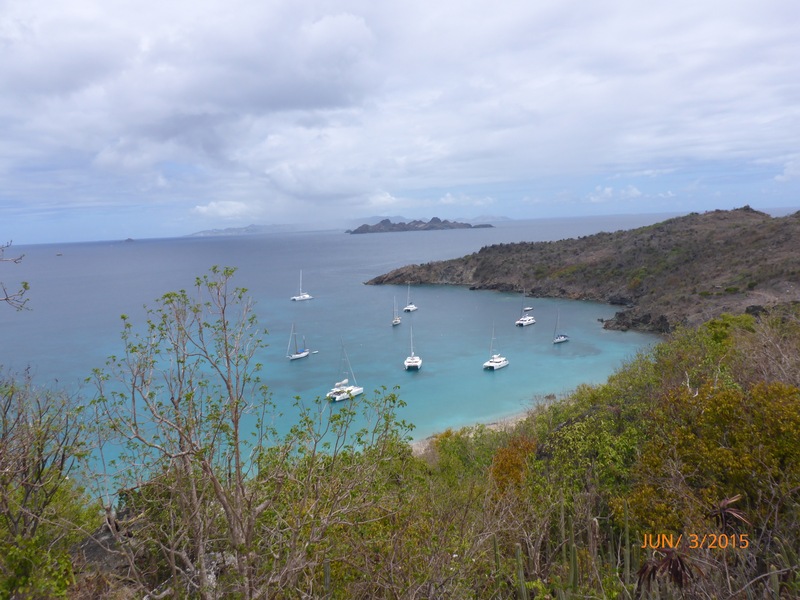 We spent three nights in Gustavia and sampled food from several delicious restaurants. And we managed to find chocolate croissants again! YUM. 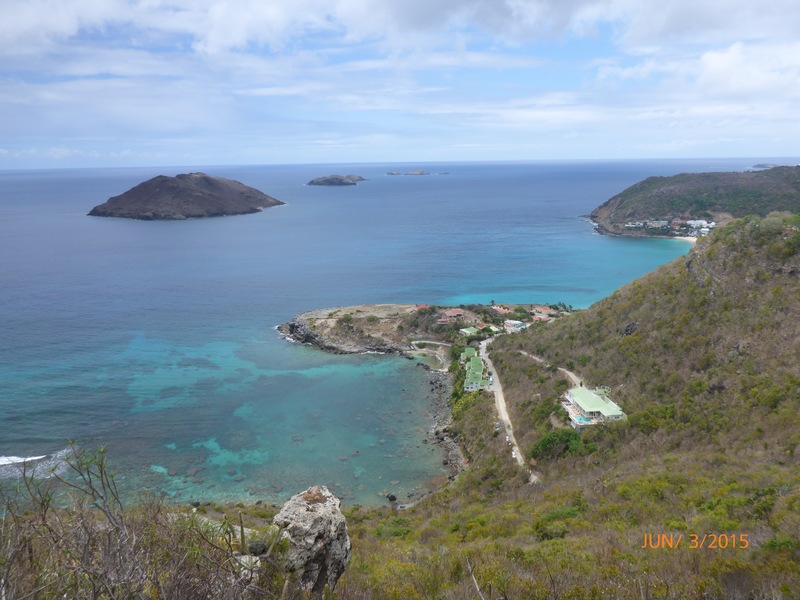 After sampling Gustavia, shopping and not buying the rather expensive clothing, we decided Colombier was more our style. Kathe and Gary ready for our walk. 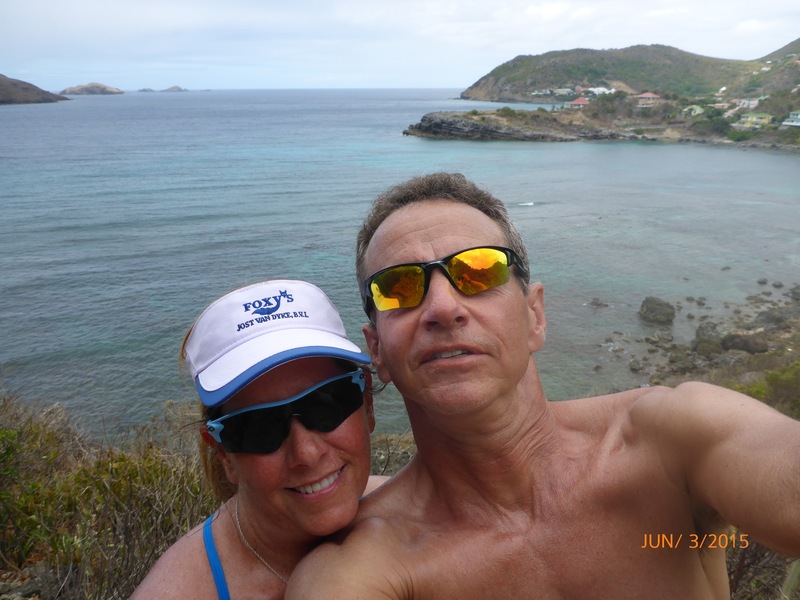 So back we went to Colombier to meet up with our friends Kathe and Gary on Tribasa Cross who braved a slog into the wind so they could meet us on St. Bart! It was great sharing sunset drinks with Kathe and Gary, then hiking with them the following day. I much preferred St. Bart to St. Martin, at least on this trip. 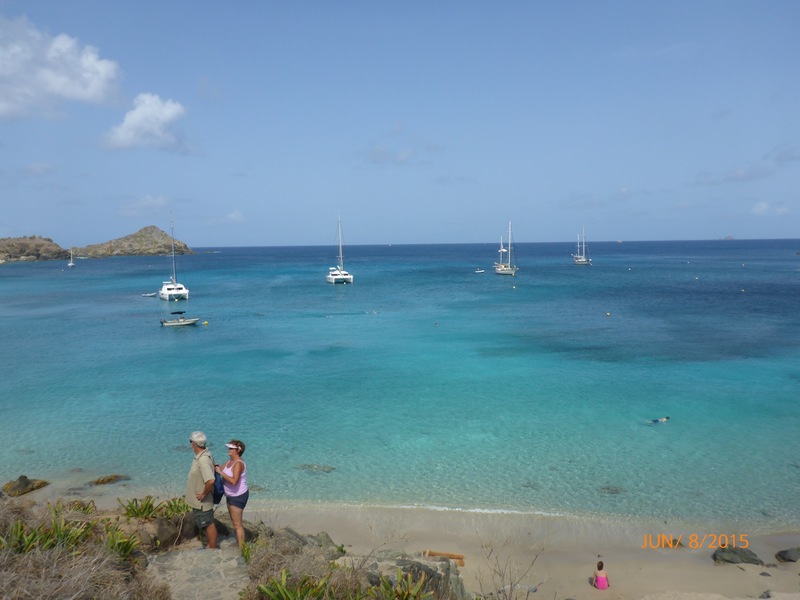 St. Barts was easy to navigate and everyone was very friendly. I was able to practice some very rusty French and my efforts were kindly received. 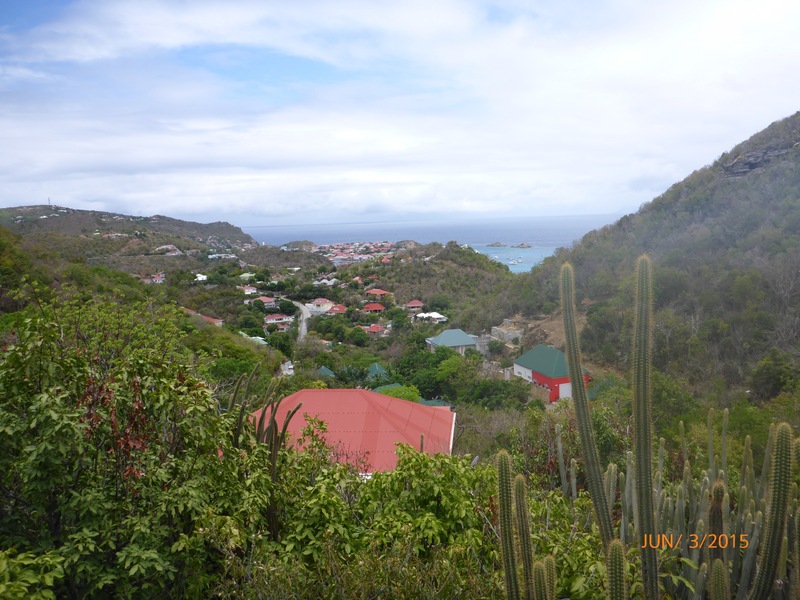 Gustavia feels like a quaint, clean, upscale European city and everything we needed was easy to reach on foot. An added bonus is that the French are very nice to dogs. The restaurants welcomed Captain when we stopped to eat. In fact in every restaurant the staff immediately brought Captain a bowl of water. She usually received her drink before we did! 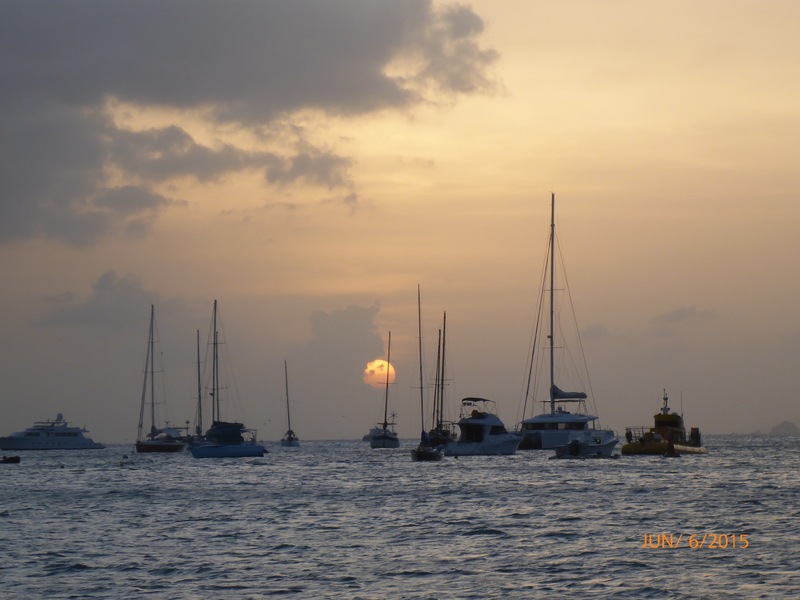 Sunset in Gustavia, St. Barts. We really enjoyed the remote and the city life on this island. St. Barts is definitely on our repeat list.